Happy news for Dreams Come True musician Nakamura Masato (50). It was announced yesterday that his wife, former High and Mighty Color vocalist Onaga Maki (21), is expecting their first child. No date was given, but Nakamura is expected to make a formal announcement on his blog today. The couple married in June of last year and “Maakii,” as she is known to fans, said at the time that she would quit the music business. She joined the existing heavy metal band Anti Nobunaga – made up of fellow Okinawa natives Sassy, mACKRz, Gasuto, Meg and Yuusuke – in 2004 and they changed their name. The following year the made their major label debut with the hit single “Pride,” which was the opening theme for the popular anime series “Gundam Seed Destiny.” During Onaga’s three and a half years, the band released 14 singles and five albums and they performed in the U.S. in 2006-07. The band auditioned for a new female vocalist at the end of last year. Dreams Come True (profile), made up of Nakamura and vocalist Yoshida Miwa (44), are one of J-pop’s most popular and successful acts. Popular model Tominaga Ai (26) formally acknowledged her recent divorce on her blog yesterday. The split between Tominaga and her Paris-based patissier husband was revealed in a gossip magazine back in early March but she insists that there were aspects to that article that were completely untrue. She didn’t clarify the details behind the divorce, saying only that she and her husband had been through things that many couples have to face. 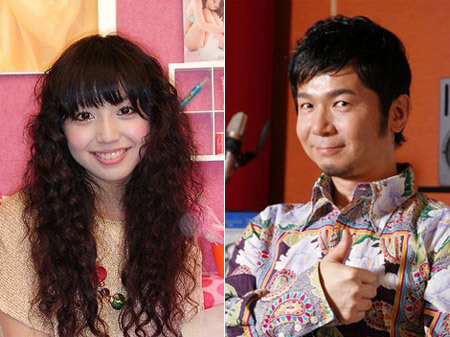 She refuted claims made in the magazine article such as that the couple had fought because of the large gap in their earnings, or that Tominaga had been forced by her husband to make a humiliating “dogeza” (prostrate on the floor) apology at a party. But she did apologize to fans and people in her industry that she hadn’t told them earlier about what was going on in her personal life. The couple married in 2004 and had a son the following year. Tominaga, who is one of the few Japanese supermodels established on the international fashion circuit, returned to work in 2006.